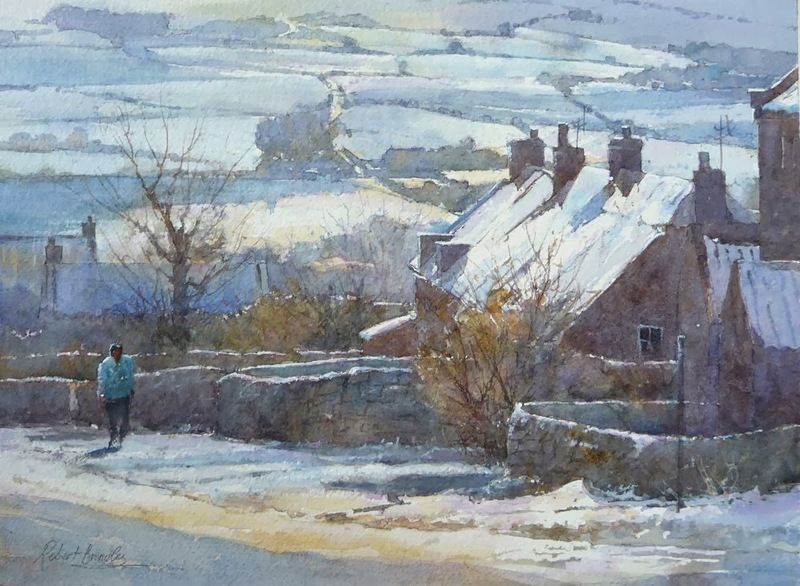 I painted this snow scene as a demonstration for Whitby Art Society nearly two years ago. I was never really sure whether I should have included the car and always thought that the large tree on the left hand side would have worked better if it had crossed in front of the wall immediately below. 1. I wet the paper over the entire area of the car and with a soft brush and kitchen towel, I carefully removed the car. 2. When the paper was dry, I introduced washes of Raw Sienna, Raw Umber, Cobalt Violet, Cerulean, Cobalt Blue and Burnt Sienna to make the bush bigger and match in the colour and texture of the wall. 3. Using Raw Umber, Burnt Sienna and Ultramarine Blue, I painted in additional twigs and branches using a number 2 'Rigger'. 4. 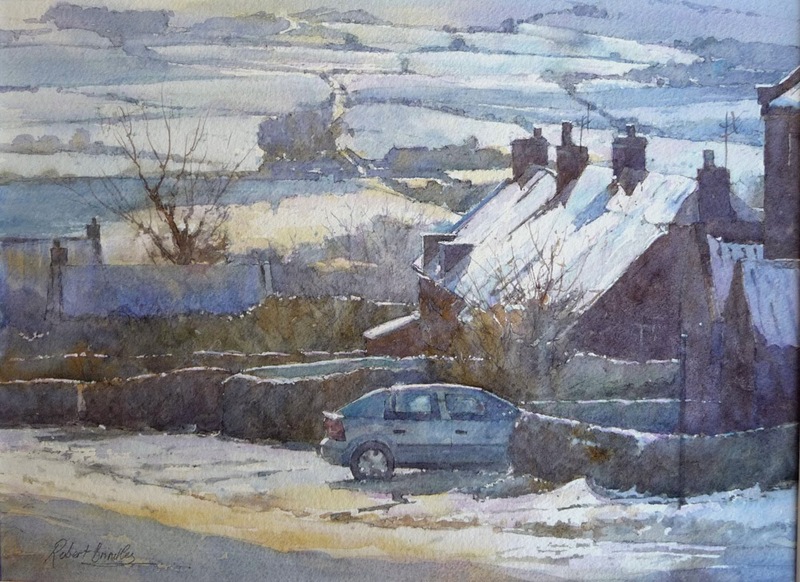 I then used some white acrylic paint and patched in the sunlit area of snow beneath the wall. 5. Using the same colours as step 3, I enlarged the large tree on the left hand side. 6. Finally, I added a figure to the left hand side of the painting to add a little life. I was very pleased with the changes made and these are the results below. Wow! Like the spacious quality the change has made. Magic!